With Summer coming to a close I have been spending most weekends by the pool. These three swimsuits are what I have been wearing the most this Summer. I never really liked one-pieces before, but I've noticed there are a ton of cute suits now and I couldn't resist! The first swimsuit is from Rad Swim, I love the fringe detailing making the simple black suit edgy! The strap is actually removable if you want to make it a strapless swimsuit which I often do. This suit overall has the most coverage. The second swimsuit is from Beverly Swimwear, they have a lot of vintage styled swimwear, which was a huge trend this year so I had to try out the high waisted bottoms. I like the mixing of patterns which you can "build" you own combo by picking out a fun patterned bottom (I love the palms print) and a solid colored top. Lastly is one of my favorite suit to wear in the pool because it matches perfectly! 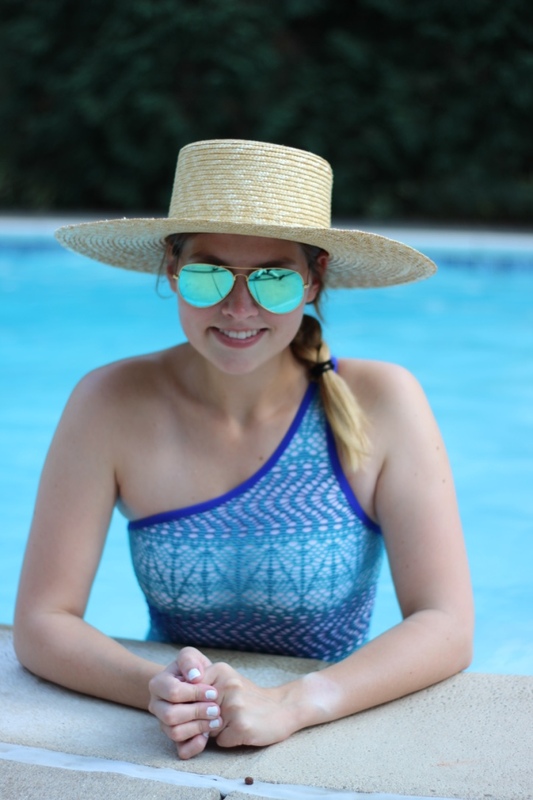 I love one shoulder anything so I was thrilled to try out a one shoulder swimsuit. This one is from Wet Swimwear and it just beautifully made. The only problem was sizing, if you do order make sure you check out the size chart because I had to go two sizes up. But shipping is free so that isn't a problem! What was your favorite swimsuit this year?